Pea protein powder is recognized as a high quality nutrient rich protein source that supports healthy metabolism and overall health. Contains significant amounts of protein, glutamine and branched chain amino acids to support healthy weight loss and lean muscle growth. In the not-so-distant future, pea protein powders will become the most popular protein supplement, and for good reason. Thanks to the explosive growth of nutritional information, plant-based protein powders are touted as healthier, safer, and more affordable than other protein powder sources. So whether you’re a bodybuilder, fitness model, gym-rat, or stay at home mom, here’s a breakdown of the truth behind the best pea protein powders. Seven people; 300 hours; several afternoons’ worth of reading user reviews; interviews with dietitians; lots of protein shakes – that’s what it took to formulate the absolute best pea protein powder resource on the internet. We built a list of over 367 pea protein powders and narrowed it down to the top 3 overall best. Over 20 interviews with experts including dietitians, holistic health practitioners, university researchers, and authors. We surveyed 200 vegans and vegetarians and asked them how to correct choose a healthy, additive-free plant-based protein powder. We gathered a list of over 7,000 search queries to find out what mattered most to those who take protein powders. 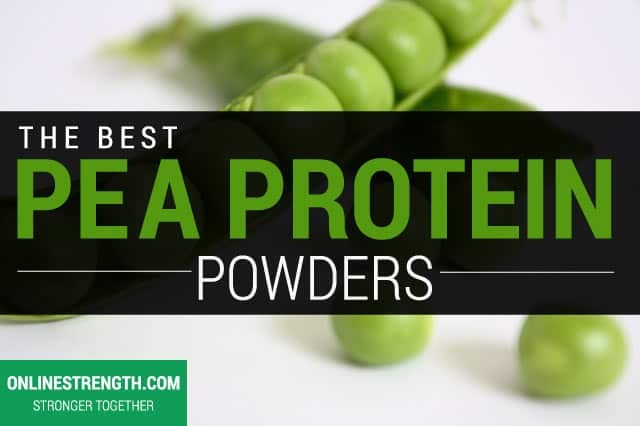 We read and analyzed the top 35 most popular articles and studies on pea protein powders. With over 3 years of research and nearly 70 million dollars in funding, pea protein powder is hailed as the new preferred plant based protein powder due to its dense nutritional qualities. Pea protein powders are typically used in conjunction with a proper diet to increase dietary protein intake. Reaching your daily protein intake can exponentially benefit your overall health, too, including aiding in fat loss; aiding in weight loss; increasing lean muscle mass; increasing muscle protein synthesis (pea protein increases this to a higher degree than other protein sources); reducing food cravings; and reducing triglycerides (fatty acids in the blood). Like we mentioned above, pea protein is packed with amino acids, particularly, arginine. Containing 4x arginine more per gram of protein than whey protein. Arginine plays a major role in improving your overall health especially your ability to build more lean muscle. Arginine sends signals to the muscle cells, encouraging them to grow and helps promote fat metabolism. Arginine is a very important amino acid for athletes as it increases nitric oxide. Increasing nitric oxide levels in the body leads to vascular relaxation, blood pressure regulation, reduced inflammation, and better memory formation. Peas are part of the legume family, similar to peanuts and beans. Peas are low in fat, high in protein and fiber. Pea protein powder is not made from green peas, but yellow peas, also known as split peas. Pea protein powder is “pure.” Its produced through an entirely mechanical process, no chemicals, or no additives are used during the extraction process, only water. The peas are cleaned, grounded up into a flour, and then separated into various components, including protein. The pea protein is then taken through a drying process and then grounded up one more time before packaging to ensure easy mix-ability. Plant-based protein powders have been gaining popularity over the recent years due to the milk-based proteins repeat market scandals. Plant-based protein powders appeal to both vegetarian and non-vegetarian gym-goers who suffer in tolerances and allergies to milk-based products. Pea protein is often paired with other vegetable proteins such as rice protein since their amino acid profiles complement each other. This combination makes for a very powerful nutrient dense protein powder, far more healthier and better than any single blend of milk-based protein like whey. Pea protein generally costs less than all animal proteins. Doesn’t increase cholesterol levels like animal proteins which can cause heart problems from long-term use. Pea protein is NON-GMO: free from the concerns some people may have about genetically modified foods. Protein powder blends often contain pea protein due to it being a hypoallergenic protein and having one of the best plant-based amino acid profiles. 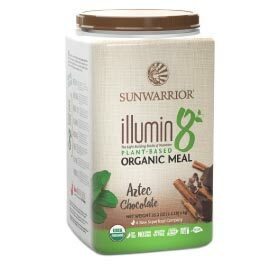 Generally it is sold as a stand-a-lone protein powder but often mixed with other plant based proteins like rice protein. Pea protein powder is great for those who are highly lactose intolerant. 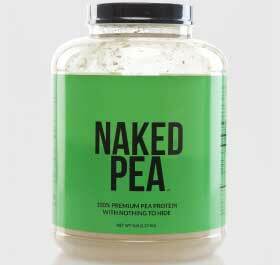 Pea protein is a hypoallergenic protein. Pea protein is pure, no chemicals are used during the making of pea protein, only water. Pea protein powder can be mixed in water or your favorite beverage using just a shaker/blender bottle or even a fork/spoon. Just follow the manufacturers protein label for proper and exact instructions. Consume 45 minutes before workouts, and within 15 minutes after workouts give your body then nutrients it needs to build muscle, burn fat, and recover. Take 1 serving upon waking up each day and right before going to bed. Aside from increasing your protein intake, this will help curb hunger pains and give your body very high quality nutrients to function properly. Consume pea protein powder between regular meals to help reach your daily protein intake. If you’re not sure how much protein you need, below we listed a couple a ways that you can figure out how much protein you need daily. A daily target of 0.8g/kg bodyweight (0.36g/lb bodyweight) is a good goal if you’re just trying to function normally and live a healthy life without having an active lifestyle.